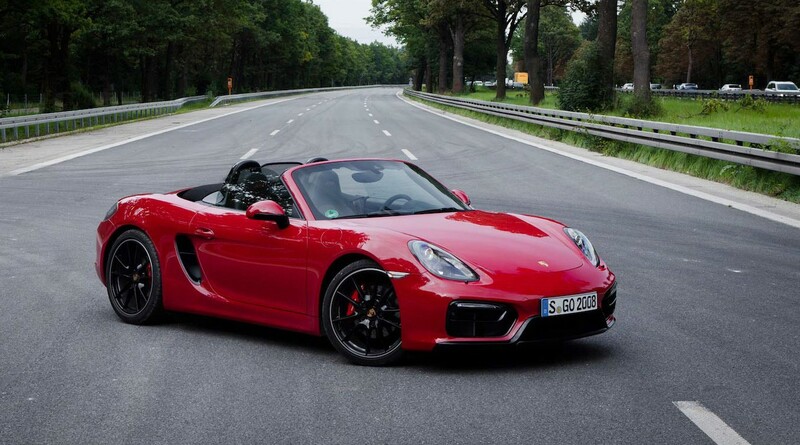 A few months ago Porsche launched the most powerful and fastest Boxster to date: the 2015 Porsche Boxster GTS! 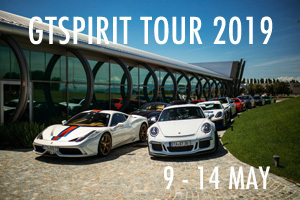 We recently accepted Porsche’s offer to park it in the GTspirit Garage and see what it is like to drive. 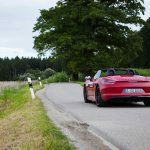 It is the first time we review a Boxster on GTspirit and we were keen to find out how it dealt with the many prejudices. 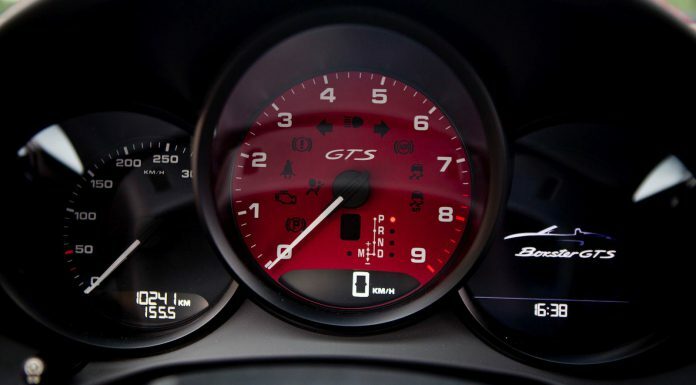 The GTS in Boxster GTS stands for Gran Turismo Sport. The GTS tag was first used by Porsche in 1963 with the 904 Carrera GTS, which was later renamed to just Porsche Carrera GTS. 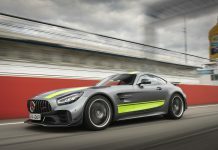 Originally developed as a race car, it also became available as a car for the streets to comply with homologation requirements for the race series. 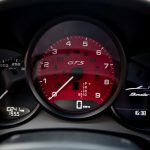 More recently Porsche unveiled GTS versions of the 911, Cayenne, Panamera and finally also the Boxster and Cayman. 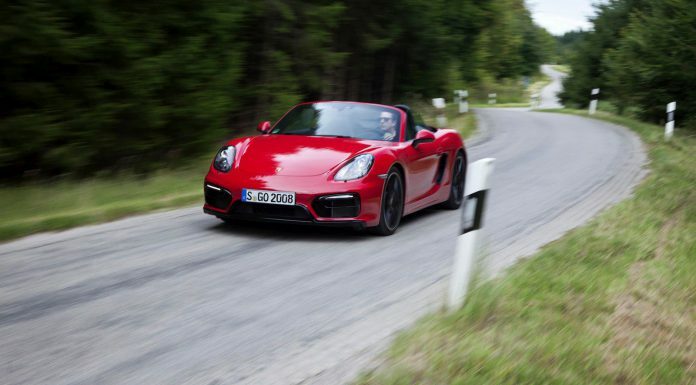 The 2015 Porsche Boxster GTS comes with a 3.4 liter mid-mounted water-cooled flat-six engine. The engine produces 330hp of power at 6,700 rpm and 370Nm of torque at 4,500-5,800 rpm. The engine revs all the way up to 7,800 rpm and runs on Super Plus 98 octane. 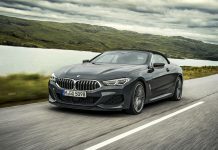 In comparison to the Boxster S, the GTS has a mere 15hp more and the power-to-weight ratio drops to just below 4kg per hp. 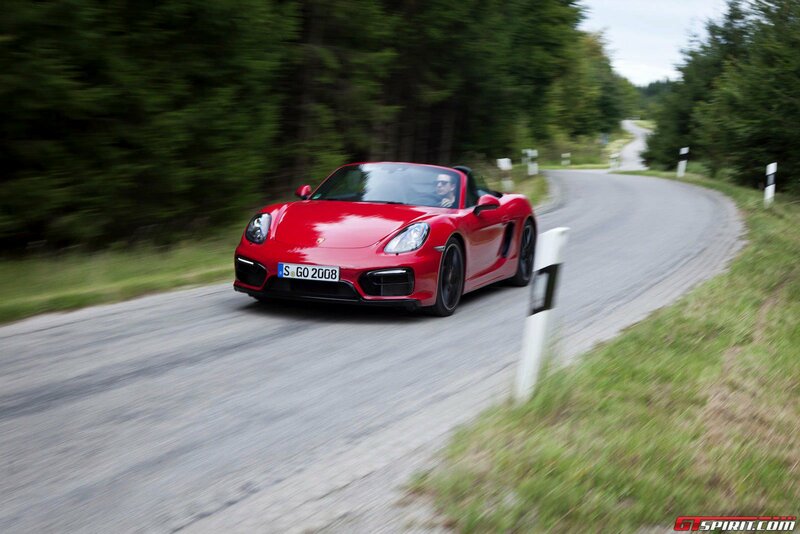 The Boxster GTS sprints from standstill to 100 km/h in 4.7 seconds and tops out at 281 km/h. 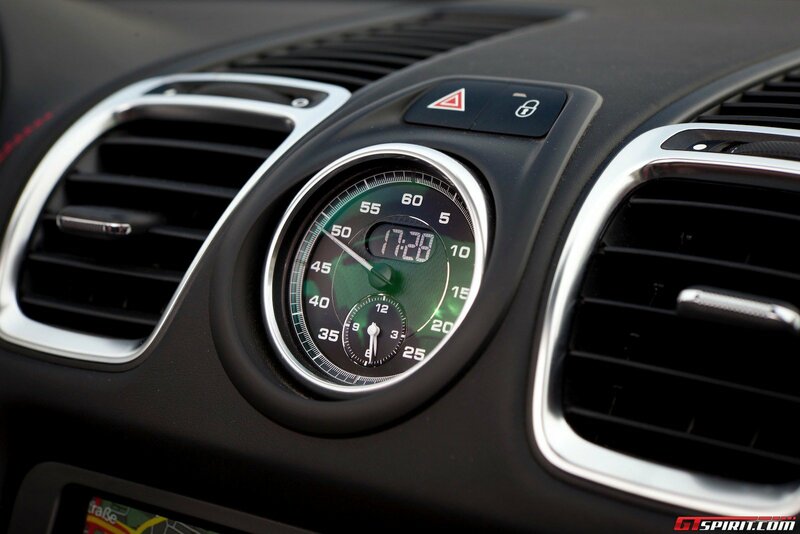 In normal mode with start / stop system the Boxster GTS uses just 8.2 liter per 100 km. On our more fun filled test run we needed a little bit more than that though. 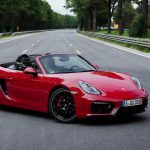 The Porsche Boxster GTS comes with a six speed manual as standard, but we recommend the optional 7-speed PDK double clutch gearbox. The power is transferred to the rear wheels. 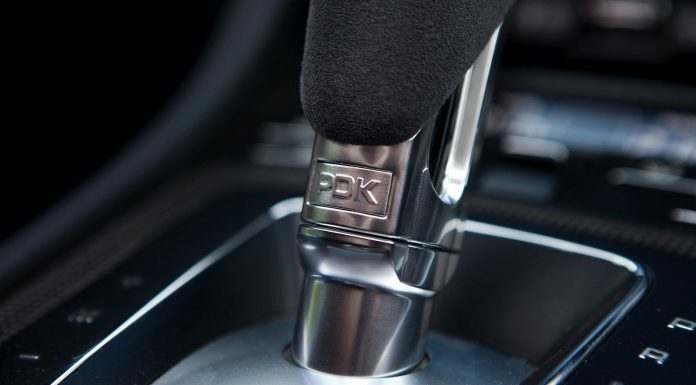 With the PDK gearbox you can use launch control for an even faster sprint and with Sport Plus active the PDK uses a race course shifting strategy that allows for quicker upshifts and downshifts. 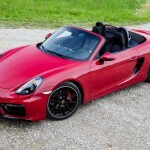 The Porsche Boxster GTS comes with McPherson suspension optimized by Porsche. 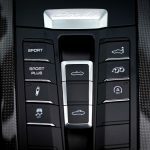 It uses Porsche Active Suspension Management to electronically control the dampers between a soft and a hard setting. 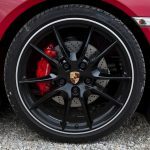 The suspension is lowered 10mm compared to a Boxster S. The Boxster GTS also featured dynamic transmission mounts that alter the stiffness and damping to reduce body roll or optimize comfort depending on the drivers settings. 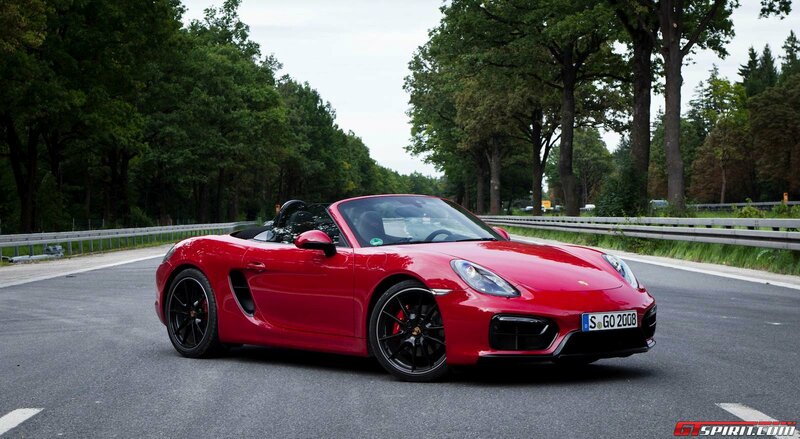 The Boxster GTS features a significant sportier look with a new front end with a modified front spoiler, smoked bi-xenon headlights, black air inlets and a 30mm longer body. 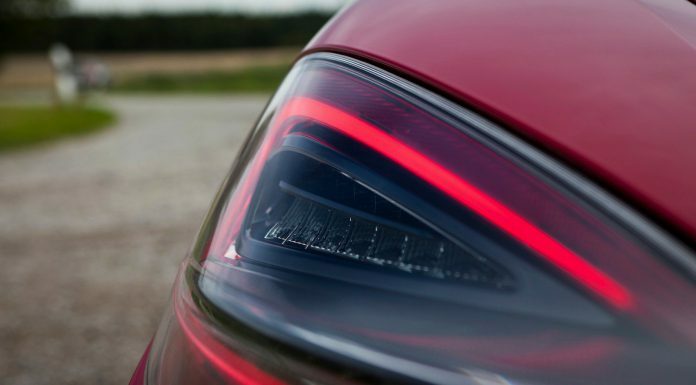 The rear also features smoked lights, black tailpipes and a black diffuser. 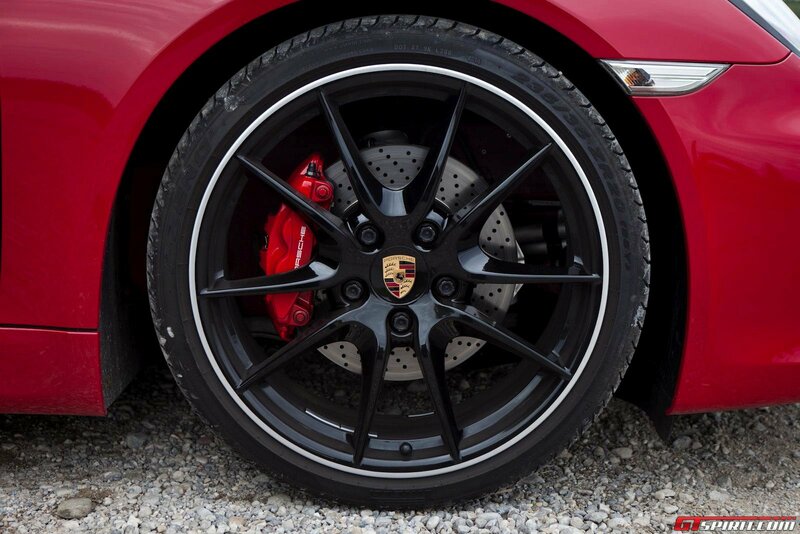 The car has a more aggressive stance thanks to 20 inch wheels in Carrera S or Turbo design. 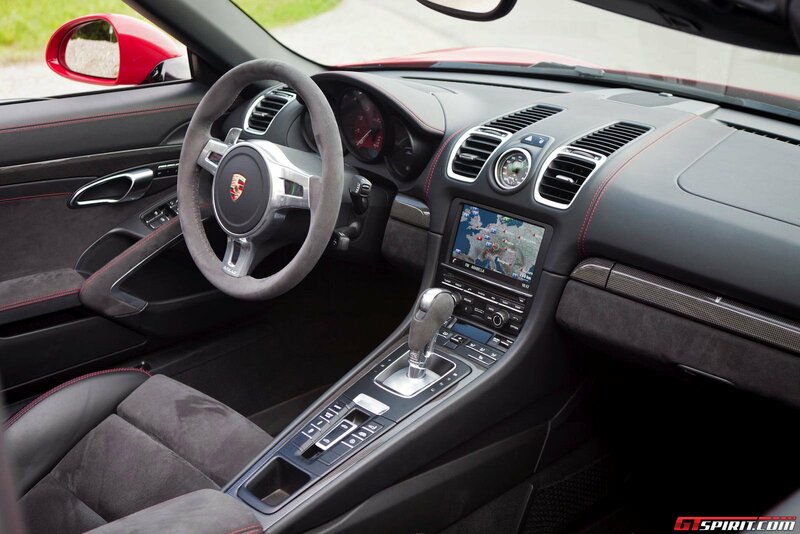 The Boxster GTS features a black leather and alcantara interior that features the typical Porsche center console. 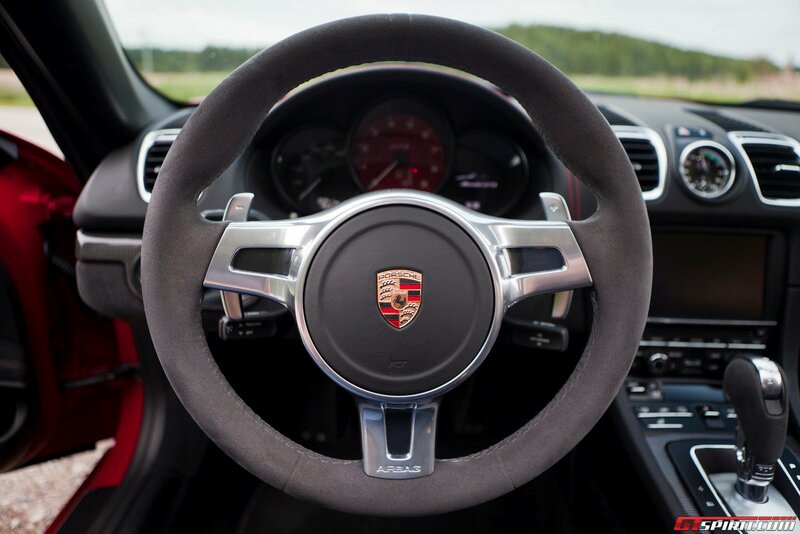 It also features a Sport Design steering wheel finished in alcantara and with aluminium shift paddles for the PDK gearbox. Our test car came equipped with the GTS package that featured Carmine Red stitching and contrasting elements throughout the interior. As you might expect from a mid-engined convertible the interior space is not that generous but there is more leg space than in a Jaguar F-Type. 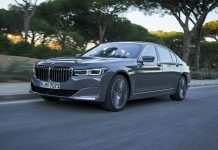 Because the engine is hidden deep behind the driver and passenger there is enough room for two luggage compartments that can fit 150 liter in the front and 130 liter in the rear. 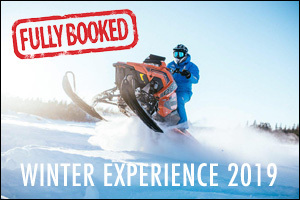 This is plenty for a long weekend getaway and more than most competitors in this segment offer. 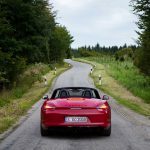 It is almost twenty years since the first generation Boxster was launched and already in the first few minutes behind the wheel of the third generation Boxster we can tell it has come a very long way in those years. 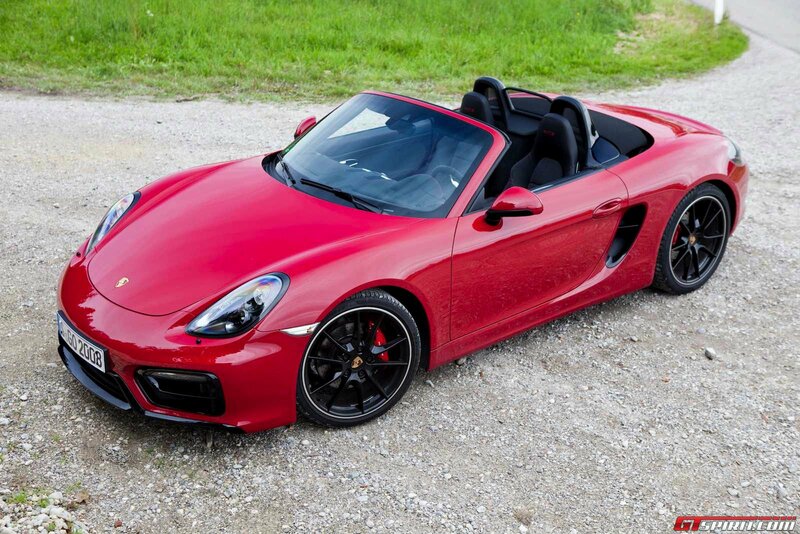 The GTS does a very good job masking the fact it is a Boxster in the first place. Literally no name tag or exterior element hints that this Porsche is in fact a Boxster. Only when you open the door, the writing Boxster GTS in the door stills is giving it away. 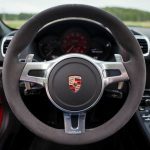 Behind the wheel of the Boxster the space is cozy but typically Porsche with the wide and high center console, the touch screen navigation screen that can also be controlled with buttons. 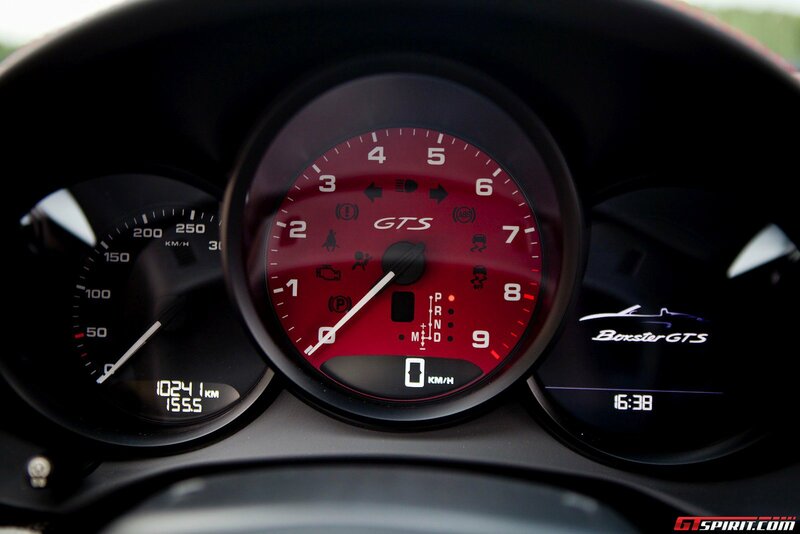 The large red rev counter indicates this is not your ordinary Porsche but one that likes to go faster. 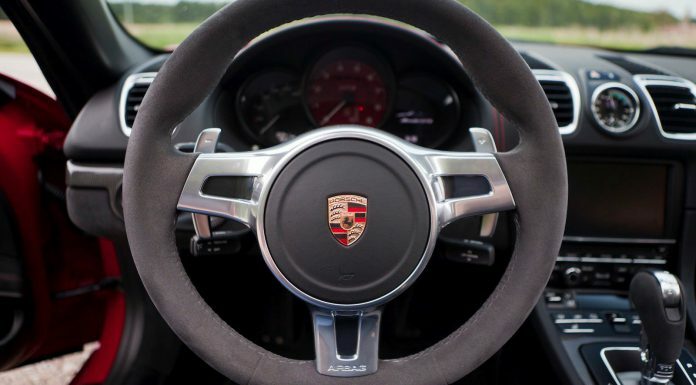 We fire up the engine with the key left of the steering wheel, another typical Porsche thing, and the engine comes to live with a loud blip after which the flaps in the exhaust are quickly closed again. Every time you fire up the car it starts in normal mode with start/stop system active again so it didn’t take long until we developed a routine of turning the key and pressing the sport button to disable the start/stop system and activating the loud exhaust. 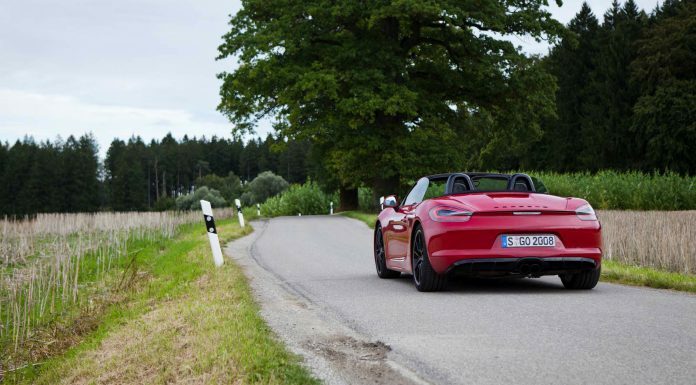 The Boxster GTS comes with the GTS sport exhaust system as standard and this is in our opinion among the biggest perks of the GTS. With the flaps in the exhaust closed it will be fairly quiet when cruising around town and only make a bit of noise when you really put your foot down. 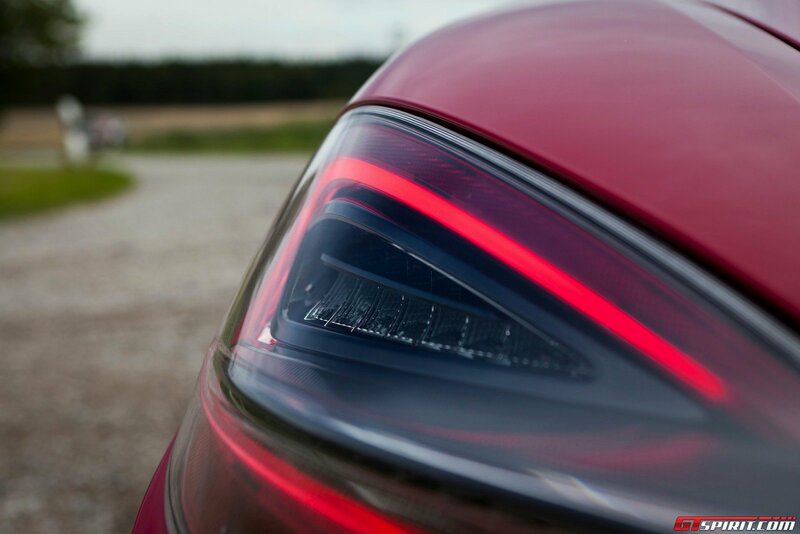 With the flaps open on the other hand the sound becomes more beautiful the longer you drive. Its loud under stress and rumbles and bangs when you release the throttle. 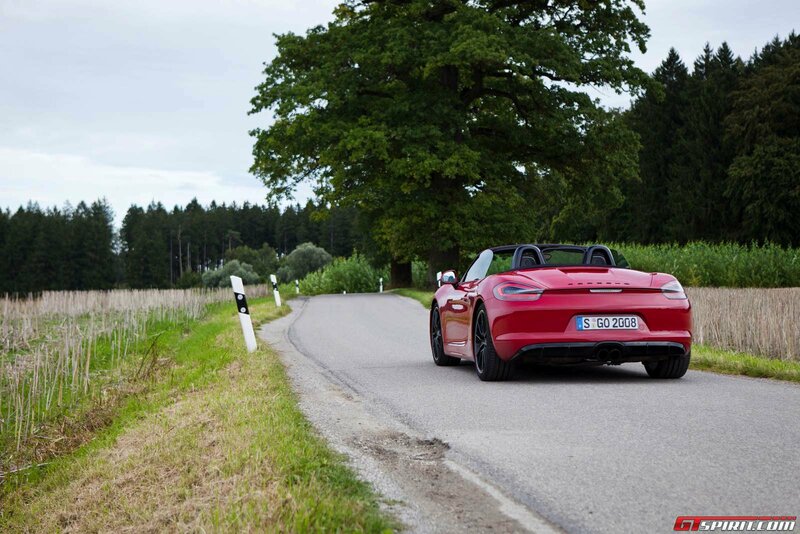 In all fairness it can’t match the F-Types incredible sound, but it comes very close and the Boxster GTS certainly ranks among the best sounding Porsches. 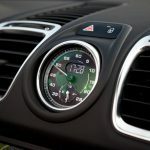 Performance wise the Boxster appears very linear under power, it lacks a bit of torque in the lower rev ranges and gives a clear push above 5,500 RPM. 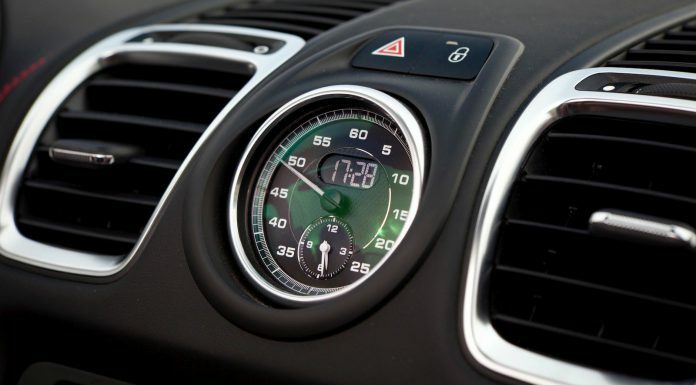 To utilize engines strongest points its key to keep high revs. 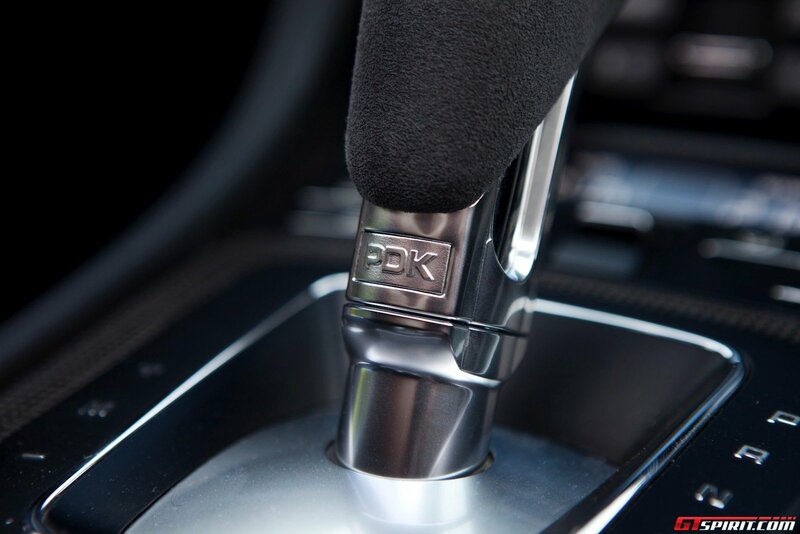 In automatic mode the PDK does an excellent job and also responds smooth and quickly to user commands. 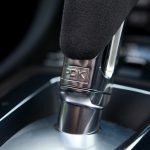 Use the kickdown and don’t be surprised when the gearbox jumps from 6th to 2nd gear in a split second to offer maximum performance. 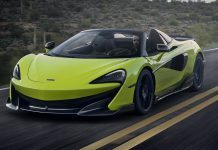 The top speed of around 280 km/h is sufficient and despite solid performance and good balance this is unlike the 911 not the car for long fast autobahn journeys. Instead take it off the autobahn and a whole new world opens up. 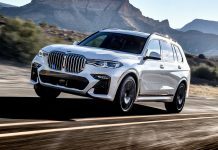 The weight distribution could hardly be better and no matter what damper setting you use the car swings from corner to corner with ease and joy. The car feels very neutral and tidy through corners, understeer is non-existent. 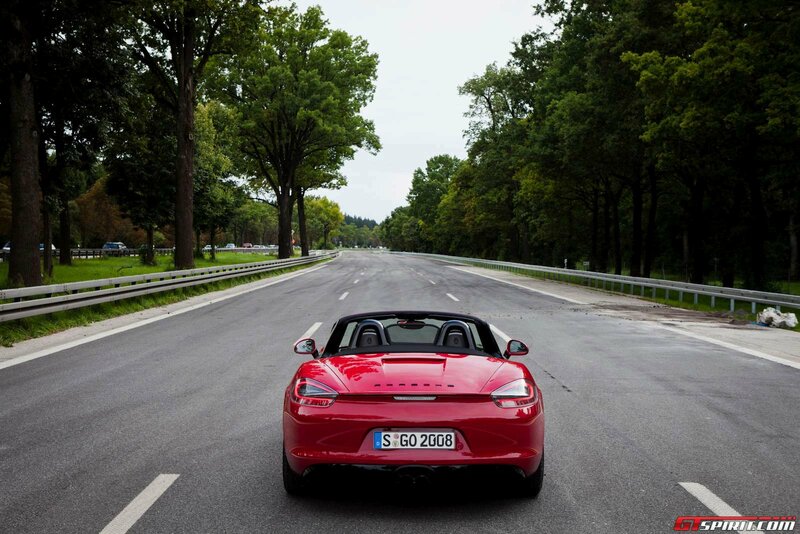 This also makes the Boxster a car that is easy and fun to drive fast. Acceleration, steering and braking is all very predictable and very balanced. 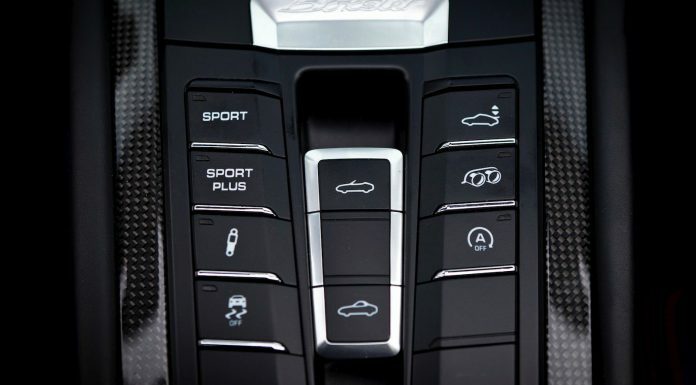 With Sport Plus activated the suspension tightens even further and throttle responds is even faster. 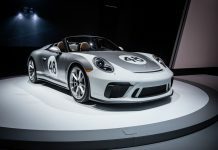 It is in fact so fast that many 911s from previous generations will struggle to keep up with the new Boxster especially on a road or track with many corners. On the other side the Boxster GTS is also very comfortable to drive around town, its chassis is more comfortable and forgiving than most other sportscars and you can spec it with pretty much any option you want from seat cooling to a high-end Burmester audio system. 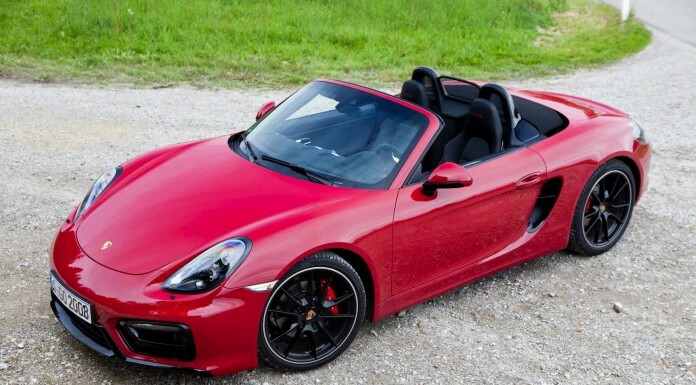 The performance and handling is not what surprised us the most with the 2015 Porsche Boxster GTS, but its overall appearance and responds on the streets was. During our road test and photo shoot various people came up to us to take a closer look at the car and to ask what model it is. When answering ‘a Porsche Boxster’ many were surprised and some even said it looks too good to be a Boxster. Even in a city like Munich where you can find a Porsche on every street corner, the red Boxster GTS stood out from the crowd. 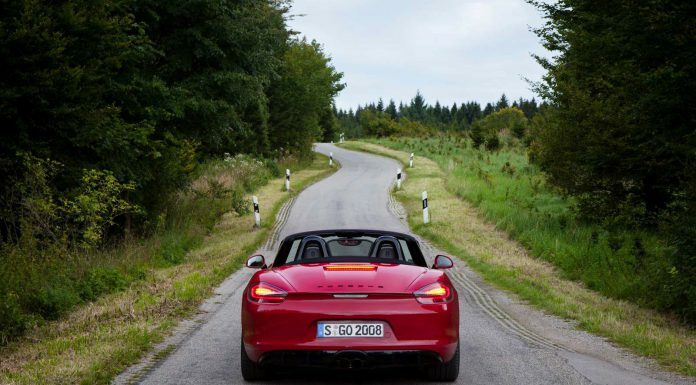 Lets not forget that the Boxster is of course a convertible and we also used it as such. The roofs drops electronically in a few seconds, also while driving up to roughly 40 km/h. A small wind diffuser between the drivers and passengers head rest blocks most of the wind but for people over 1,80m it will still be quite windy due to the low windshield. The sensational exhaust tune is even stronger with the roof down of course so we took the wind ravaging our hair for granted and tried to find as many tunnels as possible. 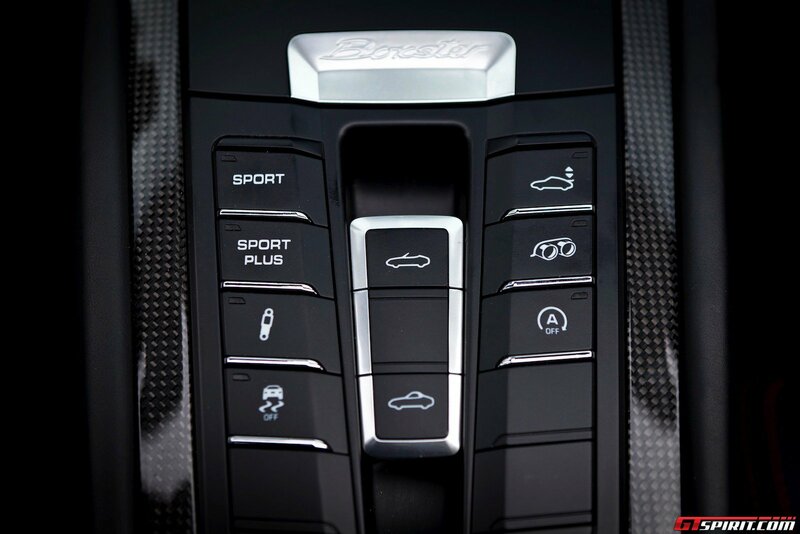 Our test GTS came with a range of optional extras but not everything was it was not a full-option vehicle. 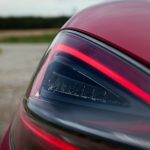 Some things we missed were a rain sensor with automatic wipers, adaptive cruise control and keyless go. 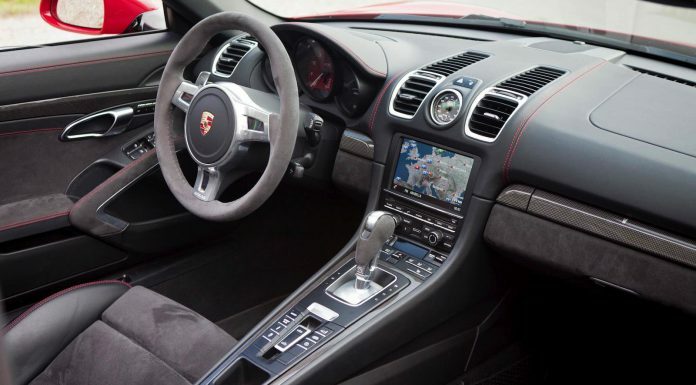 Other options we can recommend potential buyers: PDK 7-Speed Double Clutch Automatic, Porsche Torque Vectoring (for the true drivers), PCM navigation and bi-xenon headlights with Porsche Dynamic Light Plus. 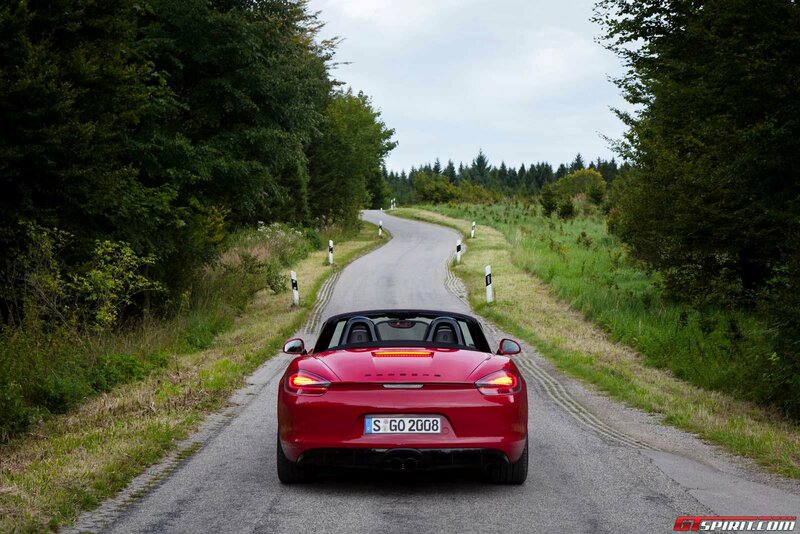 The Porsche Boxster GTS unites a comfortable convertible on one side with a fast and loud roadster on the other. The exhaust tune is fabulous and among the best we have come across. It handles incredible with a low center of gravity and excellent balance. 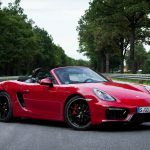 If there is one thing that should be improved it is not the car itself but the reputation of the Boxster name; todays Boxster GTS is way too good to still be considered a poor man’s Porsche.